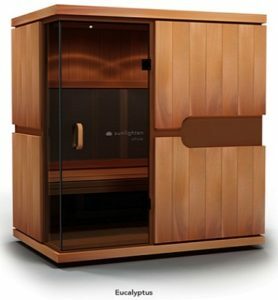 Sunlighten Sauna Review - Are They Really Worth the Price? Are Sunlighten mPulse and Signature High Quality? Sunlighten Saunas is an industry leader and innovator. Are you looking for an ultra modern product for your home? Their mPulse series might be the one for you. The company, although very well known, had some discontinued products around its name change in 2009 and some early problems with its mPulse product launch in 2010. Have they fixed all those issues and has quality of customer service and products risen to the level of their popularity? We will answer those questions. 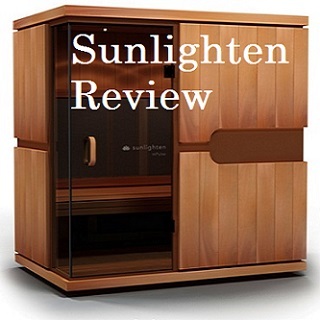 Most online Sunlighten sauna reviews you will find are simply restatements of facts from the company website. Our Sunlighten review is different than that. It is based on 6 years of research, examination of several brands products and discussions with the owners of several companies. We hope our review saves you hours of research and provides clear information not found other places. The company is an aggressive innovator and was started 17 years ago. The name of Sunlight Sauna was changed to Sunlighten in 2009. It has dramatically improved itself after some difficult years around 2010. The Wood Cabin construction is excellent using clean quality wood. The mPulse line makes use of modern design and electronic features. Signature Series uses Solocarbon and mPulse line is full spectrum with very high emissivity (actual infrared output). Limited lifetime is 7 years replacement on main parts only. Labor is not covered. 90 days on shipping. Sounds systems and chromotherapy have 1 year coverage. We wish this were a stronger coverage. 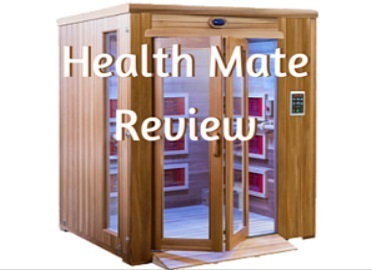 This review of Sunlighten saunas will examine each of these in turn with supporting facts, giving you the information you need to make an informed decision. Sunlighten is an Active Innovator of far infrared saunas. When choosing a product in this industry, you want a company that innovates, researches and improves its offerings. It is very important to note that 95% of all infrared saunas that are sold in North America are mass produced on one of 4 assembly lines in China. Those mass produced units have old generation, cheap carbon panels and are sold under dozens of names. If you are seriously interested in your health, that type is not the unit for you. This industry has very low barriers to entry and anyone can form an LLC and begin re-selling these cheap products which offer little health benefit. In contrast, Sunlighten innovates and produces products with very high emissivity (actual infrared given off by the heating elements). It appears that they will continue to offer ultra modern products in the future. 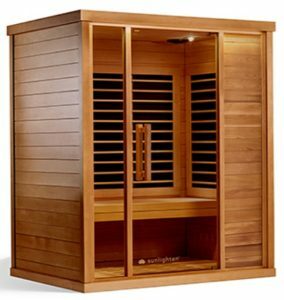 Is Sunlighten Saunas the Same as Sunlight Sauna? What Are Sunlighten Sauna EMF Levels for mPulse and Signature? This is an area where Sunlighten excels as a company. It has greatly improved its Solocarbon heaters in the Signature Series and brought a truly modern product to the market with its mPulse line. The Signature Series has been offered for a decade and now has their proprietary SoloCarbon panels. We like the size of the 2-person Signature Series but it is also offered for 1 person up to 5 person models. The craftsmanship on these is excellent. The wood is beautiful and everything fits tightly. The walls are thicker than the industry standard which allows for quicker heat up times and insulation. The Signature Series is well crafted and offered in either Cedar or Basswood. Acoustic Resonance Therapy (ART) if offered as an option, This places an SO Sound system under the bench for acoustic sound and vibration. This is purported to provide additional relaxation. We do not have an opinion on any benefits of this option. Discuss that with a Sunlighten salesperson. Chromotherapy lights and premium sound systems are also offered. One thing we would like to see improved is the placement of the heaters. To obtain full body coverage and most infrared benefit, we like to see heaters located behind the legs, beside the legs and in the front of the cabin. This surrounds the user with health promoting wavelengths of light. All Signature models are lacking heaters under the bench behind the legs and to the sides of the legs. Front heaters are missing entirely on the Signature I and minimal on the Signature II, III and IV. The largest Signature IV has wide glass that could hold panels and the large front wood panel has much more room for heating panels. The top 12″ of heaters are above a user’s head which is not directly penetrating any part of the users body. 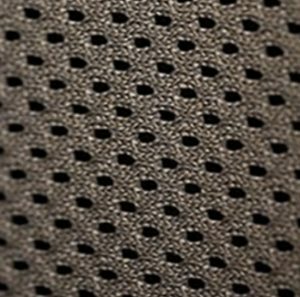 We hope in future updates there is a more preferred placement of the SoloCarbon. The mPulse series models are gorgeous modern saunas with a host of electronic features. All models in this line include biofeedback monitoring with heart rate monitoring and calorie burning information that can be uploaded to a cloud based wellness site via the control panel. The panel offers 7 wellness programs that pulse or vary the amounts of the various spectrums of infrared to emphasize cardiovascular conditioning, detoxification or relaxation. The Sunlighten mPulse Aspire is the 1-person model and the smallest in the mPulse line offering full spectrum therapy. A big question to ask is if the Sunlighten mPulse price is worth it? That depends. For a person interested in far infrared that is on constantly, and wants an uncomplicated, simple value oriented quality unit, then no. You would be paying for a lot of R&D, technology and features that you will likely never use. The mPulse was designed, according to the company, to offer empowerment and a feeling of control to those wanting this. Just like using a bathroom scale to monitor weight loss, this line of products provides that feeling of empowerment, which can help with motivation. Others really like the modern look and impression the units provide. For these people, yes, it would be worth the Sunlighten mPulse price. The Sunlighten sauna mPulse also has a patented proprietary complex heating system. Unlike cheap thin carbon panels, these elements have a lot of science behind them, and include mid infrared wavelengths. The large square heating panels are uniquely covered by Bamboo Carbon fiber material which is stretched and suspended across frames. As a user, you can lean against them like a slightly flexible lawn chair. The panels are held in place by magnets so they are removable for cleaning. How Do the mPulse Full Spectrum Heaters Work? The elements are first a layer housing the far and mid range spectrum elements woven back and forth like a maze. Layers of polyimide and other components are poured on and added providing the high degree of emissivity. It is this construction that allows the system control of the various light spectrums. This is actually a well thought out and good application of the two wavelengths. The near spectrum is added with a 10 watt LED bulb array in the center of each of 4 panels. This is one area of the mPulse line that, in our opinion, could possibly be improved. Medical practitioners normally agree that to be effective in delivering near IR to the patient, an LED bulb array needs to directly contact the skin. The bulbs in this product line are recessed a couple inches into the wall preventing any direct contact with the user. It is unclear how much of this near IR, then, benefits the consumer. Without further evidence and clarification, we will withhold any strong statements as to its effectiveness. However we would like to see stronger near IR as part of this line. Ask about this if you contact the company. 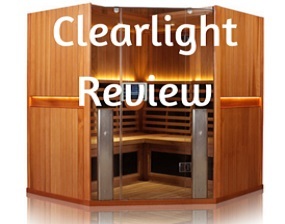 Two other quality brands that have added full spectrum are Vital Saunas with its glass halogen bulbs and the new Sanctuary Sauna line of Clearlight, which has two full spectrum heaters added in addition to its far infrared heaters. We suggest contacting at least 2 companies to learn about their products. We do like how this company innovates and keeps pushing forward in its research. We anticipate even better therapy products from them in the future. It is companies like this that have pushed the industry quality years ahead of the cheap in effective units of 20 years ago. When considering this line, the Sunlighten mPulse aspire price is only slightly less than the 2 person mPulse believe price. 2-person units almost always are more preferred than the smaller 1-person in regards to value and interior space. The mPulse Conquer price jumps a little more but for many offers the best price per usable space. It is comfortable for 2 or 3 people. The Discover 4 person model is one of the few units anywhere to offer ample floor space in an L shaped bench layout. As expected the Sunlighten saunas costs are on the higher end of the industry. You cannot expect to pay $900 as at a large chain store and obtain health promoting benefits. You can visit their site and complete the brief form to request a full Sunlighten sauna prices list. In 2003 the Solo System Dome was launched allowing users much easier access to personal infrared therapy. It is lightweight, uses the Solocarbon panels and Zone Based Digital Controls for heat where you want it. The Sunlighten Solo System price is around $2000. 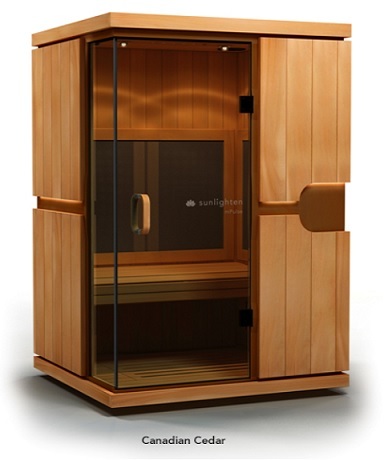 Sunlighten Solo sauna prices list can be obtained from the company by visiting here. 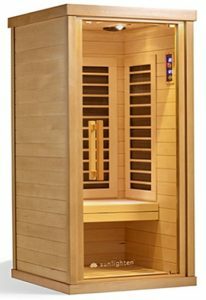 Reading several Sunlighten sauna Reviews, I found almost no mention of the warranty. Their coverage is a limited lifetime warranty. The longest any part of the sauna will be covered is 7 years as that is the stated life expectancy. We wish it were simply stated as a limited 7 year warranty. There are sometimes legal or business restrictions which prevent offering more than 7 years. This 7 years covers replacement parts only. Any cost for a technician or labor is not covered. Shipping costs, even on covered parts, is only for 90 days. If the unit has a defective part, the owner pays all shipping costs. Sounds systems and chromotherapy are covered for only 1 year. Some of the other top rated brands offer lifetime coverage of the critical heaters and electrical components and even the entire product. We would like to see this warranty expanded in coverage and time frame. Yes. In 2009, Sunlight Saunas, after 8 years in business, changed its name to Sunlighten. It was a change in name only while ownership and company remained the same. Sunlight Saunas formerly had real lifetime coverage which has now been replaced by the limited lifetime version explained in our article. Unfortunately, a Signature sauna sold under the Sunlight Sauna name with a lifetime warranty is now not covered by the strong warranty it was purchased under. When the Sunlighten mPulse line was introduced, the measured emf levels ranged from between 15-50 milligaus (mG) which is much higher than the accepted safe level of 3.0 mG. The company has informed us that those levels have been reduced to around 10.0 mG in parts of the cabin, 12 inches from the heaters. mG readings for any sauna vary depending on where the reading is taken, with the levels being highest nearest the center of the heater. It is unclear what the readings are directly near these heaters. We tested one mPulse and obtained readings around 5.0 mG near one of the heaters. Sunlighten sauna emf levels for the mPulse are acceptable, but not the best. The signature line has EMF levels of <3.0 mG which is very good. The posted results show ultra low readings of around 0.05 mG near the heating surface. However the exact distance from the heating element surface is not clear on those results. Two of the other recommended brands also have readings of well below 3.0, often 0.2 directly by the heater, as verified by an independent testing lab. Studies have shown these types of saunas to provide pain relief, a decrease in blood pressure, improve circulation, detox through sweating and will heal at the cell level. This brand is one of 3 brands that has been shown in clinical studies to increase your core body temperature. This is important for certain types of cellular healing. Other therapeutic benefits of a session include a sweat laden with toxins released at the cellular level and clinically proven full spectrum infrared that will penetrate deep into tissues and help you relax. The company has greatly improved in their customer service. You may have read that during the name changed in 2009 and problematic mPulse product launch, numerous Sunlighten sauna complaints surfaced online. The new mPulse did have shipping delays of months and some did not function when purchased. However, the Sunlighten sauna complaints involving the mPulse were addressed and those issues were eventually resolved. Now in 2018, the products are now shipped in a timely manner and the product has been refined. We suggest any Sunlight Sauna reviews found online should be ignored as they will likely be at least 9 years old and much has changed since the days when they operated under the Sunlight Sauna name. Please look at a few of our reviews and look at our brand comparisons page. The Price of a Sunlighten Infrared sauna reflects the R&D, technology and sophistication that has gone into the products. The company is the most well known name in the industry. It is a fast moving and innovating firm that definitely runs itself like a top performing company. The result are products that are cutting edge and very well made. Not everyone will want or need that level of sophistication. Many would like a brand more focused on core healing heat therapy. You will want a product that allow you to experince all the benefits infrared promises to provide. As a bit of a disclaimer, before considering any new treatments for serious conditions including healing wounds, be it a surface would or an internal tissue damage, consult your doctor. Discuss any treatments which could include healing heat therapy. Remember, unlike a traditional steam spa, sessions with this therapy will help you feel a natural release of stress through a release of toxic contaminates that we accumulate on a day to day basis. When you look at our brand comparisons page, all top rated brands will provide detoxifying, penetrating infrared and carry strong warranties supported by many years of consistent products, powerful effective heaters and many satisfied customers.